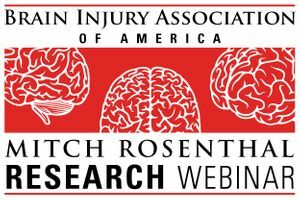 A Mitchell Rosenthal Memorial Research Lecture webinar featuring Mark Bayley, M.D., FRCPC, and Bonnie Swaine, PT, Ph.D. Aired live September 25, 2018. Mark Bayley, M.D., FRCPC, Toronto Rehabilitation Institute, and Bonnie Swaine, PT, Ph.D., University of Montreal, discuss how clinicians and consumers shaped the design, unique features, and implementation of the ONF-INESSS guidelines for moderate-severe traumatic brain injury rehabilitation. The presentation also highlights new, evidence-based recommendations judged high priority by the guideline development team. If you would like to purchase a CD, please select "CD/Handout Package, CBIS/T Rate (Includes 1 CEU)" from the drop-down menu. Please note that CDs are available 3-4 weeks after the webinar air date.